Ever since the birth of the little bundle of joy, the little one has to undergo several tests and medical examinations periodically. 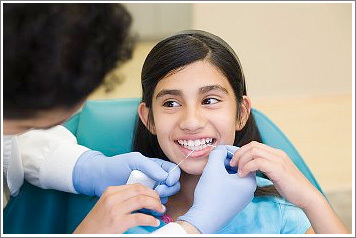 Besides vaccinations at appropriate age, periodic health checkup is must for kids, especially dentist. Most of these health tests are meant to determine the overall health and development of the children. According to a Chandler Emergency Dentist, it helps early detection of any disease and treatment before the disease aggravates. Ok, vaccination is not a periodic health test. The primary obligation of the parent is vaccinating the child properly. 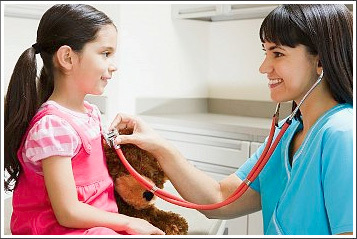 You will be visiting the pediatrician regularly for various reasons. Getting the right dose of vaccines at appropriate times is the first step to raise your child healthy. Get the vaccine chart from your doctor, plan for providing the vaccines to kids without fail. Smart Phones steal most of the time, not just in adults, but also kids. This is an extra burden to the eyes beyond watching television. Watching television, playing video gaming consoles, using mobiles and tablets for hours definitely affects healthy vision of children. Problems in the vision may lead to head ache, loss of balance, poor concentration, and many problems in children. You may take the recommendations from the physician to cure the defects in the vision. In order to avoid wearing glasses at an early age and maintain the healthy vision, make sure that you monitor the children. Don’t allow them to sit in front of television or play in phones for hours. Take your child to an ophthalmologist; have the vision checked periodically, twice a year. Oral examinations are must for kids to manage good oral health. According to dental check for kids is not just recommended during emergency situations. Bad breadth, cavities, infections, bleeding, etc. can be prevented well with periodic oral examination. Oral health is a major part of overall health. Don’t ignore it. Recommended visit to a dentist, 2 – 3 times a year, besides any emergency treatment. The need for cosmetic dentistry such as orthodontics, Invisalign clear braces, retainers, dental bonding, crowns, and professional teeth whitening (for adolescents) will often be highlighted at routine dental check ups and either offered by your regular dentist or, depending on the procedure, referred to a specialist. Physical growth is must to watch. Although height of a child is influenced by various factors, especially genes, ideal weight should be maintained in tune with the height. However, don’t ignore if your child is too short. Check with your physician. Both over weight and underweight inappropriate to the age is unhealthy for children. Monitor and check with your doctor about the growth of your kid, both mentally and physically. Okay, you may simply think that why kids need a check on cholesterol and fat? We live in a world where most of the people religiously follow sedentary lifestyle. Nowadays, a child is easily trapped by unhealthy habits, which lead to obesity and higher level of cholesterol at a younger age. Junk food mania spreads everywhere. Eating too much junk food is fatal! Also, more than 50 percent of kids are picky eaters, where they don’t get sufficient nutrients, which may end up with malnutrition. Anemia, simply known as iron deficiency affects all age groups. Make sure to discuss all the health concerns about your kid to your physicians. Get appropriate recommendations to avoid consequences. Providing the healthy start to lead a healthy life is the most valuable thing that a parent can gift to their children. Health is Wealth!